Slither.io Lag Problem: As you all know Slither.io is one of the most intensive game which is gaining popularity at a fast rate. Slither.io is basically a combination of Agar.io and Nokia old Snake game. One of my favorite game is Slither.io, and I faced one problem that was “LAG“. Nobody likes the lagging game isn’t? Yes, No one will like to play so slow and lagging game. I was kind of annoyed because of lagging as you know Slither.io should be played with full concentration and with control. But lag makes it hard to play such high intensive game. At first, I thought that I was the only one facing this issue, but later I came to know that many of my friends too facing this lag problem in Slither.io. I tried many different methods to fix slither.io lag problem. 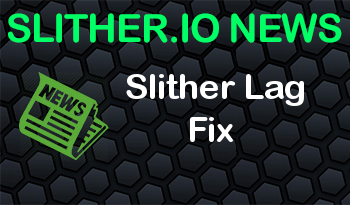 In this article, you will be able to fix the lag issue in Slither.io game in Android, Windows, Mac. I used to play this game mostly from my smartphone to make it more convenient, but this lag problem made me losing when I was at 5th position in the leaderboard. Well, Here are the few methods you need to follow to fix it on your android device. Sometimes due to cache and other data’s you will face this lagging issue. So you need to clear data of Slither.io app. To do so, Follow the given instructions. Mostly I used to play Slither.io on PC especially if I’m determined to grab a spot in Leaderboard. But Lagging makes it so frustrating as you know this game needed to be played smoothly and slowly. Here are the tips to fix the lag in Slither.io game. Cache is one of the reasons for lagging issues. So it’s always recommended to clear the cache and cookies. I useCCleaner to do this but if you want to do directly on your browser then follow the below instructions. And then Clear Recent History option. Incognito Mode is basically known as Private Browsing where your extension, add-on, themes or any other plugin’s will not be loaded, and you will browse smoothly. All the browser have this feature. If you are using Google Chrome, then Hold CTRL + SHIFT + N button simultaneously. If you are a Firefox user then, you can find the Private browsing option in your Preferences. If you are using some other browsers then kindly look at your settings to find the Private Browsing option. Sometimes your browser might struggle to load such FPS game. So, Give a short to other browsers. As far as I played this game, this game ran very well on Google Chrome, and lag problem wasn’t there that often. If you are using any other browser such as FireFox, Safari, Microsoft Edge, etc then kindly use Google Chrome browser. Here is a trick to make your browser load Slither.io game smoothly. All you have to do is to set your browser at max priority. To do it follow the below steps. Now you can see your browser process which is running. If you are facing this issue still, then upgrade to a good internet connection with decent speed. So that it can runSlither.io servers good. As far we as we have tested these methods and most of them worked out / reduced the lag pretty well. If you are still facing lag then wait for sometime Slither.io are getting new servers to manage their high traffic to their site. According to this article on Pocketgamer the creator of Slither.io has stated that his team is working on improvements Upgrading there server is in the improvement list. So don’t worry, this issue will be solved soon from there side.